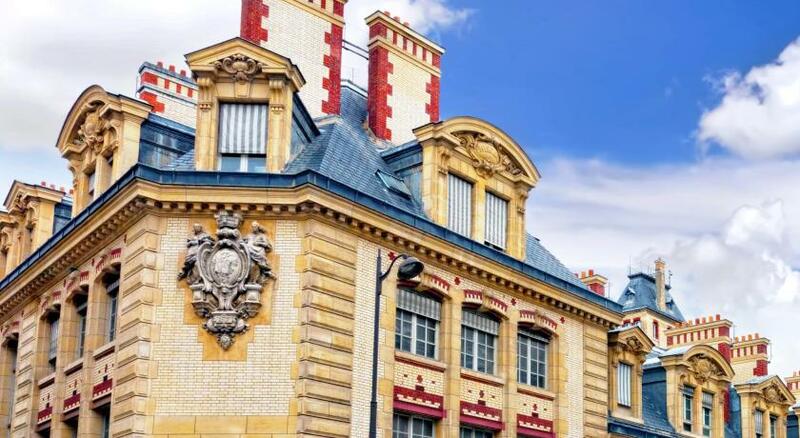 Lock in a great price for Hotel De Suez – rated 8.4 by recent guests! 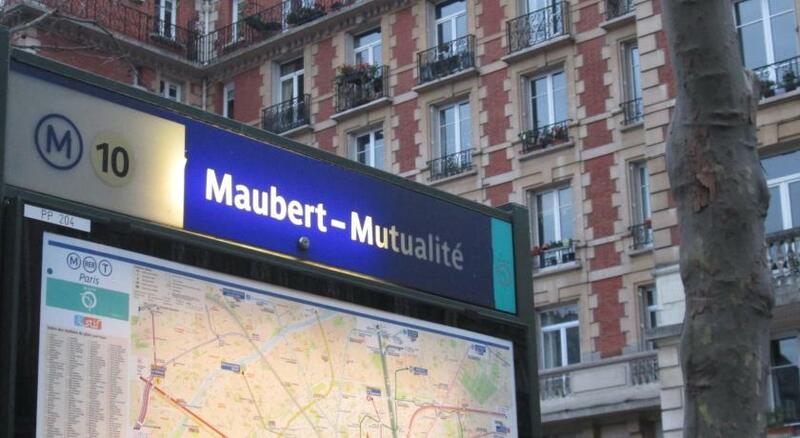 Right near major attractions and all modes of transportation. Location is great. Simple check in process. Comfortable beds.Balcony opens for fresh air in. Cleanliness. Sri Lankan Kitchen server gentleman is very polite and helpful. 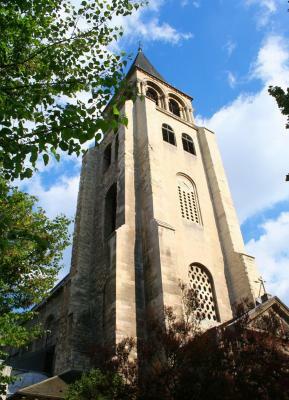 The location is a couple of blocks from Notre Dame and the Cluny. It is a block from a tiny Harry Potter-like street crammed with creperies that cost from 1.5-3 Euro. It was an easy walk from the St Michel metro stop which also connects to the C train. It was pretty clean. 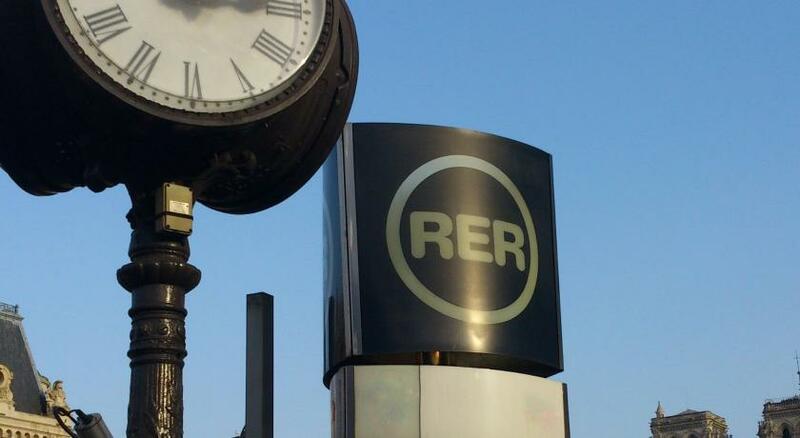 Nice friendly staff, and can speak good English. Warm smiles, makes you feel welcome. The rooms had nice older type windows that were pleasurable to open to have a nice breeze. 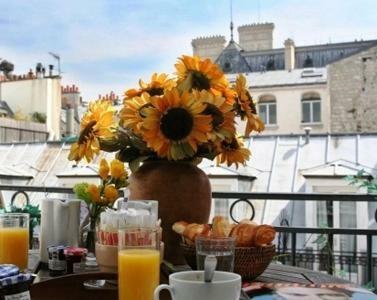 For the price in Paris for a clean hotel it’s definitely worth it. I’ll definitely stay here again on my next trip to Paris. Good location. The room is clean and good value for the money. The neighborhood is quiet and interesting for walking by foot. I would stay in this hotel again. good location and people are great. my room and bathroom were fine in terms of size, comfort, cleanliness. nice reasonable breakfast. THANKFULLY, the nearby Mont Blanc had no availability the final night (of 3) for my son and daughter-in-law who had been with us for the previous 2 weeks. I booked their last night at Hotel de Suez a 5-7 minute walk away. 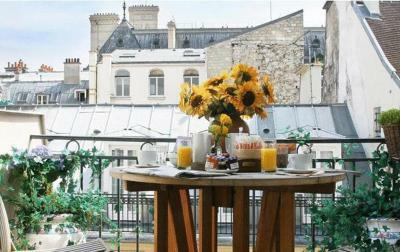 I only regret that this hotel didn't have 2 rooms available when i originally chose the Latin Quarter. From my daughter-in-law's comments, it was a hugely better alternative, especially where STREET NOISE was a concern (they were on 5th floor, in the back). "The hotel was great - giant bathtub and separate WC, and good size room. Very quiet - we were on the 5th floor and not facing the street. The hotel staff was very helpful. They let us check in early, took the bags upstairs for us, and were very polite. Tiny elevator. We’d definitely recommend this hotel to others". Staff was very friendly and helpful. Location was great, room was very comfortable for three adults, beds were very comfortable, bathroom facilities were modern. Everything was clean and in good condition. Wi fi was great, easy to connect. Breakfasts were delicious. 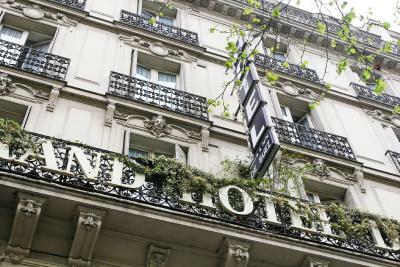 Located in central Paris, this traditional hotel is just a 5-minute walk from the Luxembourg Garden. It has a 24-hour front desk, a elevator and provides an airport shuttle service from the hotel only. All guest rooms are equipped with a TV, free Wi-Fi access and a telephone. Some rooms feature a small balcony. All have a private bathroom. A continental breakfast is served every morning at Hotel De Suez. Guests can enjoy breakfast in the guest room while reading the newspapers provided. Noter Dame Cathedral is a 10-minute walk from the Suez hotel. 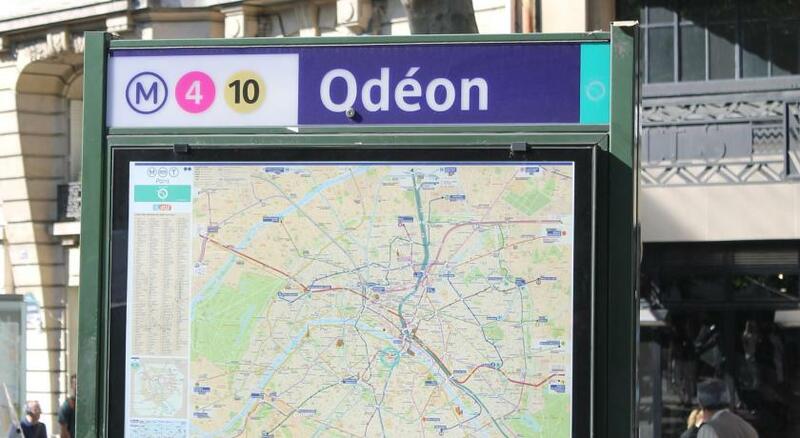 Odéon Metro Station is 1,150 feet away, providing access to the lively Montparnasse district. When would you like to stay at Hotel De Suez? This room features a TV, free Wi-Fi access and a telephone, while some also have a balcony. The private bathroom has free toiletries. House Rules Hotel De Suez takes special requests – add in the next step! Hotel De Suez accepts these cards and reserves the right to temporarily hold an amount prior to arrival. Please note that for bookings of 4 rooms or more, a full prepayment will be required. Please note that the elevator does not go up to the 6th floor. The room was too warm. The heat was running on 75 degree days. Thank God for French windows. No frige in the room. The breakfast was adequate , the location is brilliant. 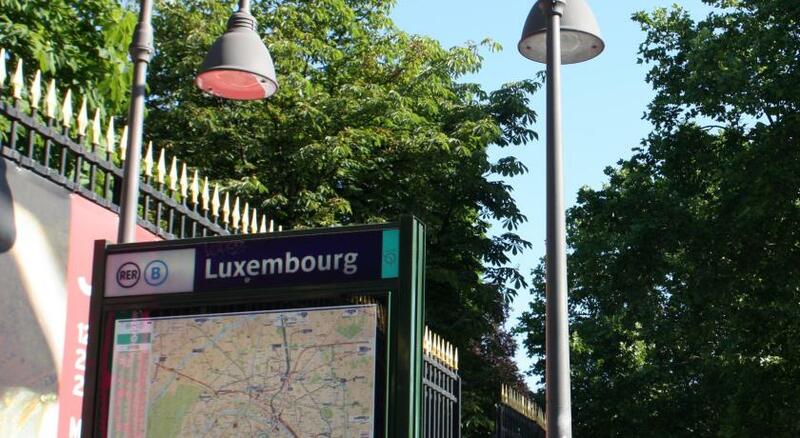 One train from airport direct to Jarden de Luxemburgh and then a 5 minute walk to the Hotel. 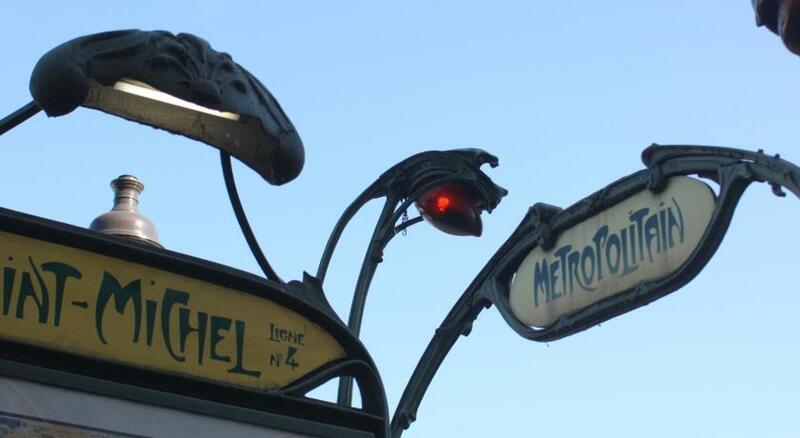 Allltthe restaurants and cafes of Saint Michelle and Saint Germain within a 5 minute walk from Hotel. Breakfast, especially the waiting staff. The room was very comfortable as well. And, the location could not be matched! Breakfast was provided by the most delightful monsieur. He was was incredibly attemptive, kind and a pleasure to deal with. The elevator was way too small for even one person with luggage. Outlets in room are inadequate. Television channel choices. Not many English language channels. For the price one would expect a coffee maker in room particularly when there are no provision of coffee at the lobby. Breakfast should have some protein Just not all carbs. Not a good choice if you have even borderline sugar. Shower sprays do not work. We had encountered no problems for the 5 nights we spend there. The staff was very helpful and kind! They also speak English, which is great for non french speakers. The room was cleaned every day. The little elevator was very useful after our long walks around town. The location is great, near the river in the heart of the city center. 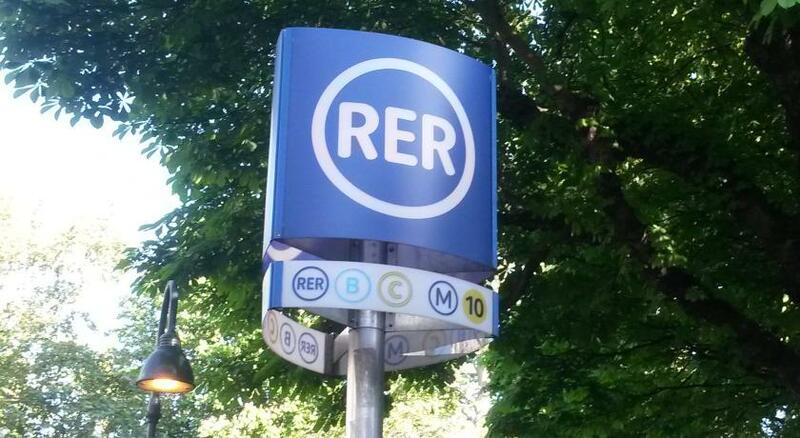 From there, you can go (almost) everywhere on foot - Latin Quartier, Montparnasse, L'ile de France, Marais etc. Also, had the bus station in front of the hotel and metro station at max 5 minutes (slow walk) on foot. Personally i prefer a room with more room to stretch in and a view would have been nice. Good location just mins. from the Notre Dame and buses are right outside the hotel straight to the Sacre Ceur. Plenty of good restaurants and shops locally with the water taxi less than 5 mins. walk. Very good coffee and croissants for breakfast, attentive and informative staff. Quiet in the room and we slept well. breakfast was a good.value fornthe area and convenient. 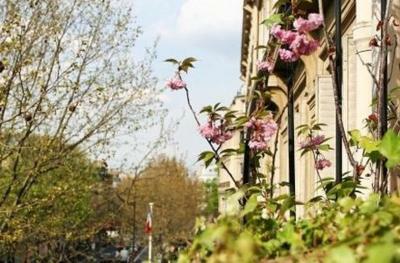 Large comfortable room, comfortable bed, good location convenient to the Metro, RER and bus lines. would definitely.stsy again. The rooms were very small and the beds were a step up from sleeping on boards. The doors were solid and felt secure, but the hotel itself was and felt old and outdated (and not in a quaint way.) I struggle to find hotels I love at this price point in Paris, and maybe they don’t exist. The location was awesome, so that might be worth it for tourism. Excellent location. Clean and comfortable bed and reasonably sized room. Breakfast is typically what we call "Continental", with bread, croissant, jam, fruit juice, yoghurt and good, strong coffee, or a choice of tea, hot chocolat. It's just enough to get you going in the morning! 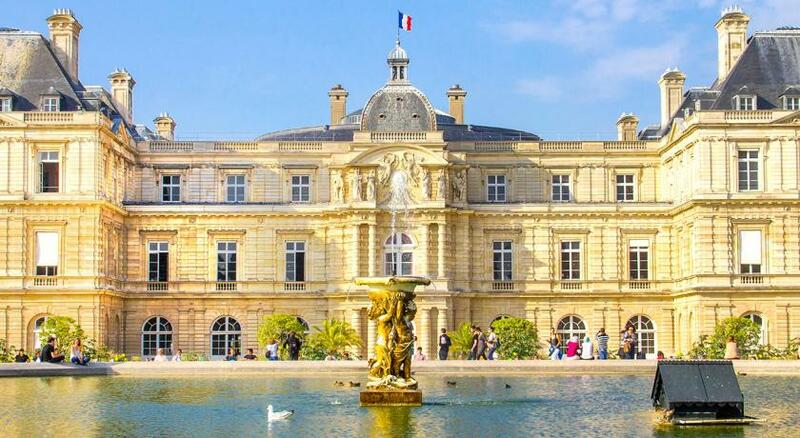 There are ample opportunities for exploring cuisine of France's regions!! Location of this hotel is ideal, in the Latin Quarter, handy for Gare du Nord (No 38 bus, one ticket!). Such is the layout of Paris that a leisurely twenty minute stroll following your nose will land you in the centre. Bd. St Michel is a tad quieter that Bd. 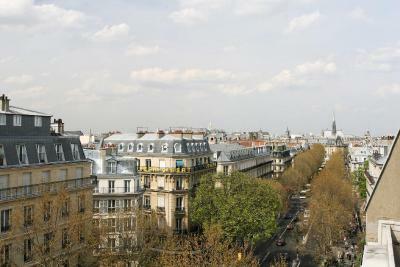 St Germain, so Hotel is quite quiet; some rooms do look out on to the street, but a lot are inwards-facing and quite quiet. Set your alarm or you could oversleep!! Rooms are comfortable and well-equipped; showers are terrific!! WiFi works OK, and TV is easy to use, with good quality picture on all channels. Basic but no problems. Helpful staff.